To be a successful entrepreneur you need many things: money, drive, a business idea. 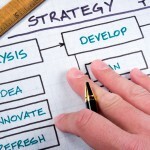 Most importantly though, you need a great marketing plan. Part of that great marketing plan is developing or identifying your unique sales proposition (USP). 1. Focus on the customer. This might seem like an obvious one, but go ahead and try to write down your USP. I’ll wait. 2. Target your USP. Your marketing materials should be tailored to your target market. That’s Marketing 101. If you have several products that can cater to several markets, tailor your USP to each one. If you market to doctors and dentists, simply change the language in your marketing materials for each audience: “You want your patients to have a healthy smile” versus “You want your patients to have a healthy heart.” It’s not hard to tweak your USP focus just a bit. Just make sure it stays focused on the customer. 3. Keep It Short and Simple. This is known as the KISS principle. Keep your marketing materials short and simple so they don’t take long to read. You also don’t want consumers scratching their heads trying to understand your message. If they don’t understand it the first time they read it, odds are pretty slim that they’ll take the time to read it again and try to figure it out. 4. Leave out the jargon. This ties in with Number 3. By using simple language and leaving out jargon that your target market might not understand, you’ll create a greater understanding. 5. Offer a solution. You don’t need to state your target market’s problem for them; they know what their problem is. And by offering a solution to their problem they’ll understand that you already know what their problem is. Give them an obvious benefit of working with you – you’ll make their lives easier or more satisfied in some way. Make that benefit your USP and focus it on the customer and you’ll find entrepreneurial success. Read your number 3: short and simple. Agree with the simple thought (but never dumb down your message, that’s quite different than keeping it simple). But I and many statistics on effective marketing messages don’t agree on the short bit of your Kiss principle. I think it depends on the media you’re using: a postcard with blocks of text is less likely to be read than one with a few bullet points of text (esp. if the purpose of the postcard is to generate leads). I’ve learned that shorter copy works better than longer copy when the subject matter is simple, also. A complicated subject (product) obviously needs longer copy. I think “short” means different things to different people! 🙂 I guess I should have clarified and said “don’t use 10 words when 5 will do.” That’s just good English and it can make the copy more clear.